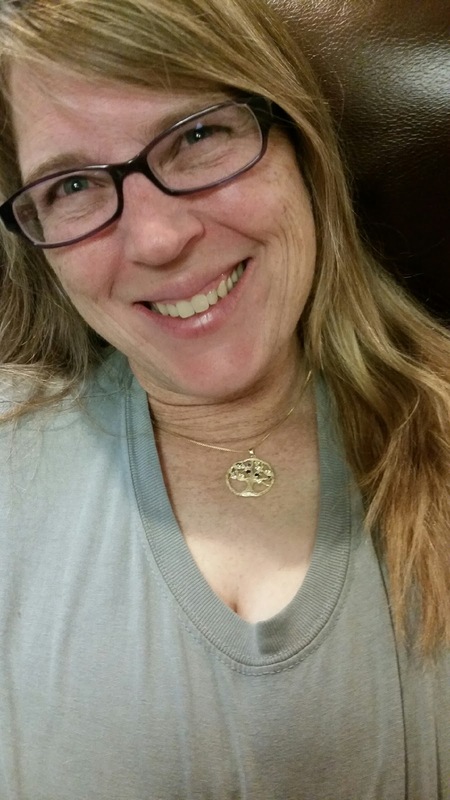 Mama's Jewelry Review by Sandy Christensen | It Came! I was so excited to see this little black box arrive in my mail this week. 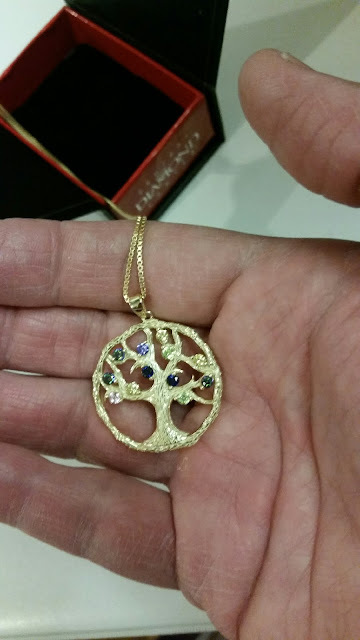 Oh, I know Mother's Day is over, but I didn't mind waiting a little longer for Mama's Jewelry to send me my custom made Tree of Life. Actually, they were really fast considering I didn't even manage to get it ordered until about a week ago. My girls absolutely love it. In fact, Baby Doll has made off with it a couple of times since it has been sitting on my desk. She is so excited to tell everybody that her stone is the "pink" one. They start at the top with Bossy's topaz and make their way down the trunk in order until the last one belonging to Baby Doll. If I were super rich, I would have had it set with real jewels, but these are the less expensive but still beautiful version. Mama's Jewelry does give the option of real, but then I might have to lock it in a safe and I would much rather wear it. Today I put it on with one of my favorite t-shirts. Imagine how good it will look when I'm all dressed up on Sunday. Maybe I will even take another pic for you. 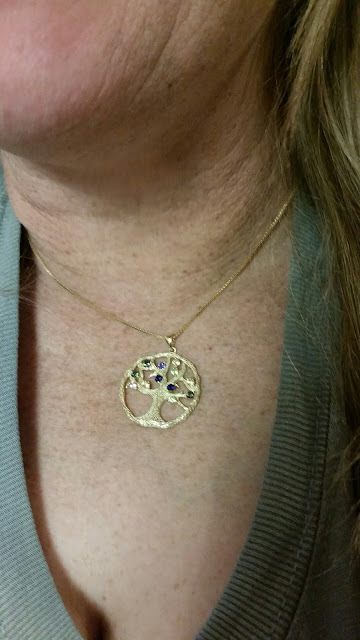 But seriously, check out Mama's Jewelry. It will make your mama as happy as it did me.